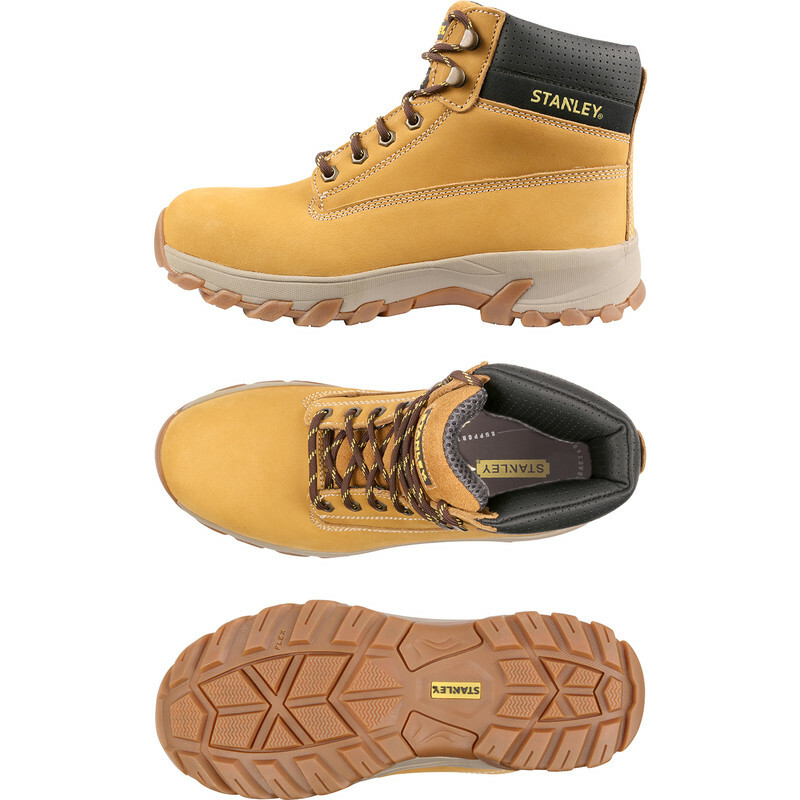 Stanley Hartford Safety Boots Size 10 is rated 4.4 out of 5 by 7. Rated 5 out of 5 by half batt from Well made and comfy Quality product at such a good price and so comfortable to wear at work when I am on my feet all day long. Rated 5 out of 5 by DSJBuilding from Much better than previous boots of this type Early to say about wear & tear but a good boot and good price compared to others. Rated 5 out of 5 by Kebab muncher from Great boots These are the comfiest work boots l have had and were a good price! Rated 5 out of 5 by logman from they look the part to tackle the jobs in hand I live in Scotland and now that the bad weather has arrived. I am looking forward worrying the boots out.